“Who I Am” at Moondance Festival! The “Who I Am” music video is an Official Selection and Award Winner at the Moondance International Film Festival in Boulder, Colorado! The video will screen opening night of the festival. “Who I Am” was also awarded the Spirit of Moondance Award, a category that recognizes women writers, filmmakers and composers. 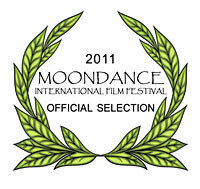 The Moondance International Film Festival will be held from September 16-18, 2011. Go and check out all the great films!